Novotel Ottawa is looking forward to hosting 8th International Conference on Privacy, Security &Trust, planned from 08/16/2010 to 08/18/2010. A dedicated booking website has been created so the guests will be able to make, modify and cancel their hotel reservations online, as well as take advantage of any room upgrades, amenities or other services offered by the hotel. The rate of $129 applies to Double/King Guestrooms, with Free internet, (wired and wireless) throughout the hotel and included in the bedrooms. Underground parking at $15 per day is available. Here is a map indicating the location of the Residence. Here is the information about the residence and how to contact them to make reservations. Please note that some of the rates may have changed. Here is a map of the U Ottawa campus . The Desmarais Building where all PST events are being held is in the top left corner. Parking lots are also indicated. The language for the conference is English. Ottawa is a bilingual (English and French) and multi-cultural city. Those wishing to plan excursions in Canada before or after the Conference can obtain maps, accommodation lists and descriptions of sites of interest from the tourism services of each Canadian province (e.g. Ontario and Québec ). Please check the web site at http://www.travelcanada.ca for further information. Canadian Museum of Science and Technology. 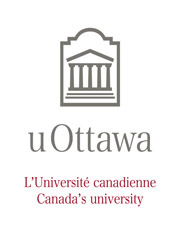 *Within walking distance of the Univeristy of Ottawa campus. The Canadian currency is the Canadian Dollar, however most stores accept US Dollar as well. See current rates. Traveler's checks can be cashed at numerous banks and stores (with purchases). There are numerous ATM Bank Machines in downtown Ottawa and on the University campus. Banks are closed on Saturdays and Sundays in Canada. There is a foreign exchange booth at the Ottawa airport and the Rideau Shopping Centre. The electrical voltage in Canada is 110 V, 60 cycle AC. Participants requiring a visa for entry into Canada are strongly advised to apply for the appropriate Visa in their own country as soon as possible. For more information, please contact the nearest Canadian Embassy or your travel agent. August weather in Ottawa is usually beautiful, with normal daily highs of 28C and lows of 16C. Days are usually sunny, but please be sure to bring along a coat and an umbrella that could protect you from the rain (e.g. when walking to the different dinner locations). More information on the current weather and forecasts in Ottawa can be obtained from the Environment Canada Web site . The main access to Ottawa from the East is via Highways 417 and 174. The main access to Ottawa from the West is via Highways 417 and 7. Off Highway 417 East, take the Nicholas/Lees exit. The main access to Ottawa from the North is via Highways 5, 50 and 148 in Quebec.